Video gaming is a rapidly growing and constantly developing industry. Games have become a favorite pass-time activity for thousands of people in modern society. They have conquered hearts of people fro various age and social groups: children, teenagers, grown-ups and even elderly people. A list of the available games starts with the classical Diablo and goes through the games with a multi-million dollar budget to the projects with virtual reality. However, everything has started with the simplest 8-bit games at the end of 1950th. At that time no one could imagine, that the visual component of the game will change so much that it can compete with the animation and feature films. The developers write games on different game engines like CryEngine, Unreal Engine 4, Phaser, and Unity, which is considered to be one of the best among the analogs. So now many companies and game producing studios are looking for Unity developers for hire. Unity is a cross-platform game development engine. Coders create multiplatform 2D and 3D games, simulations and interactive experiences with it. For companies and businesses, it is an opportunity to get high-end content and connect with customers or players. This game engine has been released first in June 2005. With it, the creators David Helgason, Joachim Ante and Nicolas Francis were trying to achieve their goal: make game development easier and more democratic for inexperienced coders. It offers primary scripting API in C# and handy drag&drop functionality. Where You Can Use Unity Products? The latest version of Unity for app development is 2018.3, released on December 13, 2018. It supports 27 different platforms, opening great opportunities and vast space for the realization of the new projects. It deploys games to Tizen, Universal Windows Platform, WebGL, PlayStation 4, PlayStation Vita, Wii U, 3DS, Google Cardboard, Windows Mixed Reality, Daydream, Gear VR, Android TV, Facebook Gameroom, Google’s ARCore, Vuforia, and others. Graphics. The engine provides you with stunning graphics and architecture with high-performance rendering capabilities. It has access to fast graphics API. With it, your games will look impressive. Audio. Give your character’s voice, add music and sound effects, to make the game alive. Design a new sound from scratch or purchase ready sound assets. Combine them and mix in various ways to get the unique result. The sounds can be added natively or through the outer applications. Place them in the context of the game plot or assign it to the events. Physics. Make your simulation more real or create an atmosphere of the parallel dimension, handling physics system in your project. There is no need to write all the code and work with every move – just several lines of code help to create an object, which behaves in a realistic (or not so realistic) way. Networking. On PC, console or smartphone, players love to be connected to the community and cooperate with friends in the games and applications. But sometimes networking demands a lot of effort and server power. Unity providers use scriptable components, workflows, and APIs to optimize a game for online and multiplayer mode. GUI. Graphical users interface should fit the theme, design, and narrative. Unity agency can create buttons, sliders, drop-down menus and other interactive elements, which will fully correspond to the style of your game. Scripting. One of the most important parts of the game – the behavior of the characters and interaction between players and NPCs. The defined logic of the components and pre-build scripts are responsible for many important things: camera control. animation system, relations between game elements, etc. With Unity, it is also possible to create script once and deploy it to various platforms. Need Unity company? According to the official website of the engine, over 500 000 companies from different parts of the world have trusted their projects to Unity3D However, the real amount of the Unity developers for hire is much bigger, so everyone can involve the specialist in the project. The main question is: what can you create with Unity. Architecture visualization and interior modeling. Everything starts with simple 3d models of the interior. The idea proceeds to the virtual show-rooms, where a customer can try the interior items before buying. Such modeling is also used by the architects to present the idea of the future look of the building. Product animation. The option is useful for the model “Try before you buy”. In such a “game” customer can see the same object made of different materials or in different positions. For example, when you want to show transforming furniture. Training simulations. And it is not only for drivers or pilots. Every new equipment requires theoretical training. You can develop such a trainer for your specialists, so they will get prepared to the technological update. It also can be useful for the customers – let them try how to work with a new technic before they buy a product. Filmmaking. Real-time filmmaking gives artistic freedom to directors and makes workflow twice faster. Short episodic stories can be made in a shorter time. Such technology is already used by Stephen Spielberg and Dennis Villeneuve. Education. A virtual training-simulator is an interesting addition to the lesson of physics, chemistry or biology. It helps students to see the theoretical material in action and use their knowledge in practice. Business intelligence. 3D model of the company may be useful for technical and financial directors. Use Drill-Down technology for optimization of the business processes. This game platform considered to be one of the best in its field. Thousands of coders are writing their projects using Unity, and a vast community of the gamers appreciates games made with it. What makes Unity3D so popular among developers and users? 2D and 3D development. For different needs (not only for gaming) developers create 2-dimension and 3-dimension graphics and animation. Cross-platform apps. With this game engine, coders create applications for Windows, Linux, Android, iOS – more than 20 platforms in total. There is no need to write a new project for the new type of devices – you just go multiplatform. Rapid prototyping. The modular system helps to create a prototype of the future project in a couple of days. Drag’n’drop editing, shaders, ready animation and a huge choice of the assets help to make it in a couple of days. Asset Store. Here you find a range of free and paid assets, which developer can just add to the project if you don’t have a game designer or simply want to save time. Popularity. Unity3D is a famous engine, known by functional, interesting and quality products. If you choose it, its reputation will work for you. PayScale shows $78,417 of the average annual salary in the USA. Depending on the skills of the performer, Unity developer for hire can cost from $30,639 to $118,804 in a year. In Canada, Unity cost is on average $70 200 per year. Unity developer hourly rate is about $36 in an hour. The inexperienced coders start with $65 708. The salary can reach $119 340 in a year. In the UK you can find Unity developers who earn about £50 000, what is about $65 160 – claims British resource ItJobsWatch. This amount can reach £60 000 in some companies. And during the last year, it has grown by 5.26%. Average Unity programmer in Germany makes €52 000, or about $59 460. In this field, salaries start with €41 000 and can reach €65 000. Unity programmer salary in Ukraine is about $25 000 as average. A game designer makes from $800 to $3000 in a month. Median in this sphere is $1200. Many companies from different parts of the world appreciate Ukraine as an IT service provider. Ukrainian programmers are ready to offer high-quality service for software development, interface, and video game creation. It also helps customers to save budgets. Choose Ukrainian coders, instead of the Canadian, American or European company, and you will achieve from 30% to 80% economy. Unity programmer needed – don’t make haste with hiring the first one you see. Check the resume and skills before. Game design is at some point creation of a new world. And the creator must be confident in the things he is writing. Choosing the performer, make sure he\she has appropriate knowledge and experience. To give you more information about Unity App Development we have asked our Unity Developer – Maxim, tell us more about this language, its benefits, and opportunities. Tell us more about Unity. In which situations it’s a better choice for development? Unity is the cross-platform game engine. It provides many important built-in features such as graphics rendering and physics calculating. Through of built-in graphics, physics, and many useful tools that are common for most of the projects, developers mustn’t spend time on implementing many common features and can focus on the development of more specific aspects of the application/game. Unity is extremely friendly for the small teams so startup projects have a lot of advantages to choosing this engine. Unity has handy licensing and can be used for free during all the development. What is the best choice of programming language for Unity? However, when the project requires high-performance optimization or complex system architecture, C# is the better choice, especially for mobile platforms. Which Unity feature do you enjoy? In my opinion, the most powerful Unity’s feature is support of the cross-platform building. Cross-platform building allows to develop the single project in Unity and port it for various platforms: Android, iOS, PC, PlayStation, Xbox and many other operating systems – including Virtual Reality and Augmented Reality – with relatively small changes. Another useful Unity development feature is the Editor extending. Unity is represented by a user-friendly IDE with the comfortable interface. But it doesn’t cover all specific needs of the certain project. However, in this case, developers can create his own IDE interface extensions to configure project parameters easier. This is also very handy for non-programmers that work on the project. As a Unity Developer with which difficulties have you faced? The biggest struggle I had with my first project. It was a racing game running in browsers. At that moment Unity had its own browser plugin that was called Unity Web Player. But after about a year of our development Google Chrome has stopped support of plugins, so we had to port our project to WebGL platform. Unity just started providing it that time so technology was raw and we had to optimize many things because WebGL was using operating memory in a different way. Should a Unity developer have a Java knowledge for the Android development? Unity doesn’t support Java for programming within it, but Java is important for creating native Android plugins. In general, C# and Java are pretty similar, but if the project requires using advanced Android OS features, Java is necessary to use. Android plugin, written in Java, will be accessed from C# within the Unity project. Unity provides a special API for it – AndroidJNI – which works as a bridge between Unity’s C# code and Android plugin functions. Can you describe a few Unity Android Plugins? One of the most commonly used Unity Android plugins in my practice is the AdMob plugin. It is API for using Google advertisement service to display banners and video ads within the game. Showing advertisements is one of the sources of revenue for the developer. AdMob plugin is similar to other networks and provides access to the configurable banners, full-screen advertisements, and videos. Another useful and very common type of plugins – is Android notification plugin. Unlike the iOS, Unity has no straight access to the Android notifications API, so there are various plugins that provide a similar feature to configure and show notifications. Even though this is a simple feature, these plugins save a lot of time for the developer. you will get a passionate dedicated team to work on your project. Dedicated development team. Hiring a team of the developers you can be sure that you got a full cycle development and a set of the professionals. The remote workers usually have a project manager, who will coordinate work and communicate with the client. Unity developers for hire and relocation. Find several coders or a team to take them into your office. You will have an opportunity to manage a project by yourself and control the work of your new employees, paying lower Unity developer salary. Offshore development center. When you need not just a team of developers, but also a project manager and a technical lead, you can open an offshore dev office. In fact, it is going to be a whole remote office of your company. 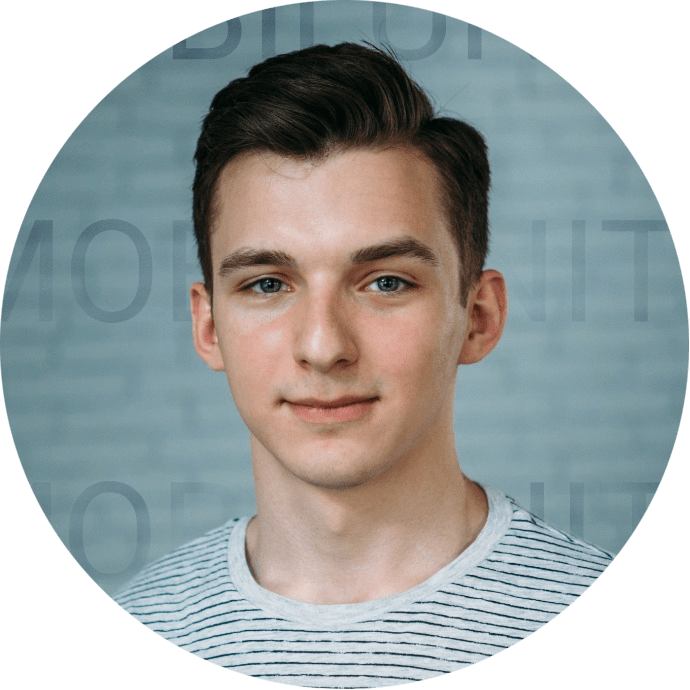 Mobilunity is Ukrainian dedicated development teams provider, which takes leading positions in the sphere of the software development and IT services in the country. Your project will be designed by highly skilled developers of different specializations. If you choose Unity for app development – we will find Unity developers for you in the shortest possible time. Which benefits will you get from the cooperation with Mobilunity? The prices for our work are relatively smaller, in comparison to other countries, but at the same time, you will get the developers with extensive experience in game development. Contact us today, and we will bring your project into reality. If you want modern Unity-based project being created – hire a dedicated team of Unity developers from Mobilunity. Where to Hire BioTech Developers?